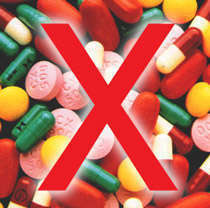 Is there a substitute to frequent use of antibiotics and pain-killers? The chronic diseases such as allergies, auto-immune diseases, hormonal diseases, and the like are deep rooted conditions. They origin from internal, deep-seated, genetic, and immunological levels. Since they arise from deeper levels, their treatment should also be targeted at deeper level. If this is not done, the treatment would be superficial and symptomatic. Using the homeopathic method of treatment, we address the totality of the disease, in such a holistic manner that the medicines try to treat genetic, immunological, metabolic and psychological factors allowing the body to recover in such a way that the disease does not return for a long period of time. That is the philosophy and the strength of homeopathy.